Santa Barbara pastry chef Sandra Adu Zelli will debut her new bakery business, Gipsy Hill Bakery at the Santa Barbara Night Market, a holiday pop-up inside the old Macy’s building in downtown Santa Barbara. Beyond your traditionally seasonal treats, she’s planning to make vegan shortbread, buckwheat ginger chocolate cookies, savory tarts, panettone and mince pies with raisins and orange peel. 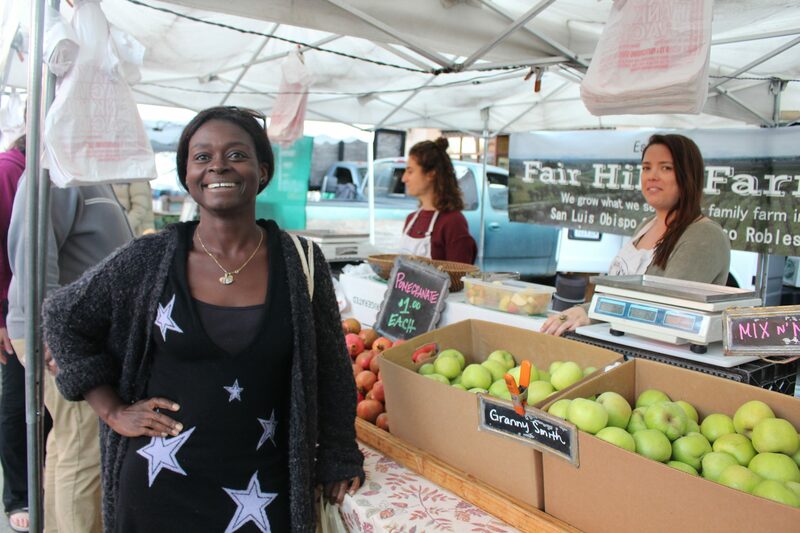 At the Santa Barbara Farmers Market, Adu Zelli is searching for rhubarb to add to apple rhubarb and strawberry rhubarb pies. Rhubarb is a vegetable, not a fruit. Don’t eat the leaves of the rhubarb plant! They’re poisonous. Since most of the rhubarb in the U.S. is grown outdoors, it grows half pink and half green. Rhubarb cooked down with sugar tastes great with apples and holds up to fatty meats like fois gras and pork.